It was a fall break of fun for the Cowden family. We did the laundry. We cooked at home mostly. Since the weather was nice for the first part of the weekend, I painted the inside and outside of our kitchen window. I had replaced the sashes a couple of months ago but didn't want to leave it open long enough to paint it during the summer. We went though some clothes and started piling up things to donate. Full disclosure: we're not finished with that yet. Ok, ok. We did a few things that were actually fun too. On Saturday Lisa and I went to the Aurora Theater for their production of Abigail/1702. The kids love it when Aurora time comes around, mostly because it means they get to spend time with Carole. For reasons I won't go into here, Carole is one of the best things that has ever happened to our family. (Actual quote from our loving children: "When can y'all go on a date again so we can have a babysitter?") Thanks, kids. I love you too. On Sunday I found out where everyone who isn't in church is (there are people not in church than are in church these days). All of them, every - single - one, were eating brunch at IHOP. One of the old ones, not the new-fangled kind. I've written before, I think more than once, about the joys of not being in church on Sundays and how in order for that dynamic to shift we are going to have to do a better job of helping people understand what church really can be to them. That's mostly because for too many people church hasn't been anything good for a while. I won't rewrite that article here, but it is worth noting that while we were talking about church (which happened because my kids gleefully observed that it was 11:30 on Sunday and we weren't in church), they both gave compelling reasons for why church is important to them, and why they don't want to miss it all the time (just when I take a Sunday off...because while they'd rather be with a sitter on Saturday, they'd like to spend time with me on Sunday). Monday we went to the Tellus Museum out in Cartersville. If you haven't been there already, you need to go. It's worth the hour each way. Go right now. I'll wait until you get back. That's a NES game system, an Atari game system, and in the back a Gameboy. At one time or another, I had all three of those. 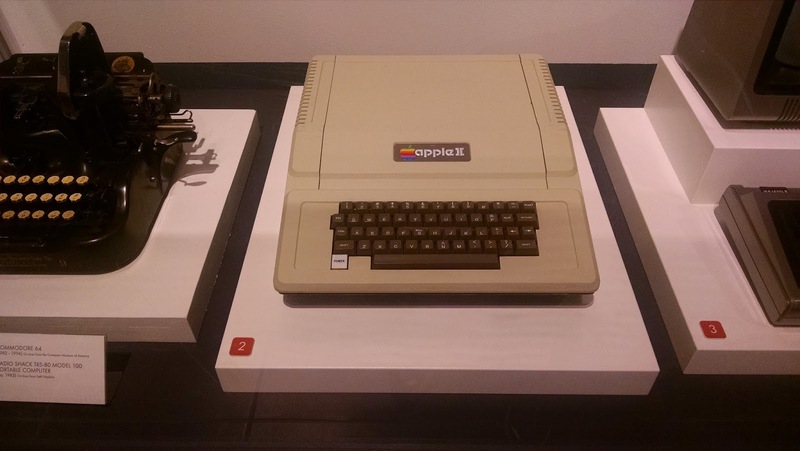 In the second picture, that's an Apple II computer. I'm a little sad it's missing the green screen with Oregon Trail on it (no doubt perkily informing me that I have died of dystentery). And that bag phone in the bottom picture? That's the phone Lisa had when we were dating. 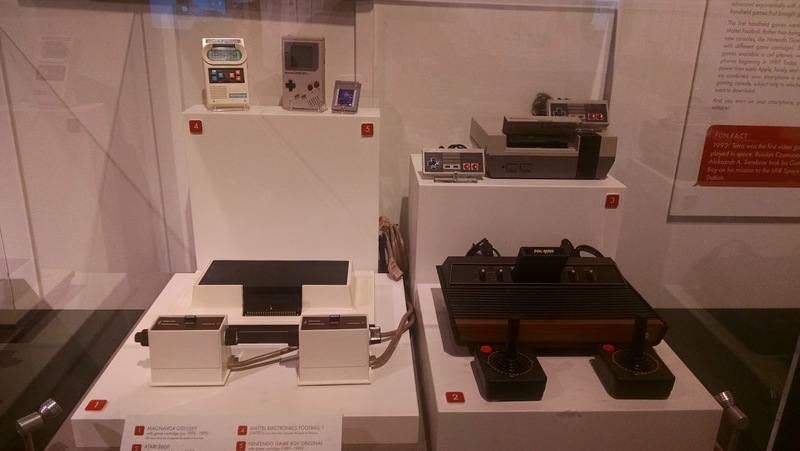 What I'm saying is that a lot of the devices featured in this exhibit as artifacts of times gone by are in fact devices I used and was raised on...leaving me to wonder if I am also an artifact of times gone by. They are obsolete. Almost laughable reminders of the kinda backwards way things used to be. Look. I'm not an old man. I'm not. I'm not even 40. I'm 10months away from forty! But if these things are anachronistic, and if I am older than many of them...what does that say about me? Golly gee, this all had me feeling as old as the fossils in the next gallery. And yet still not as old as my brother. For the first time in my life, I am working with a Senior Pastor who is younger than I am. I mentioned this to someone a couple of months ago, and he said, "Yeah, get used to that...it only gets worse." I remember when I was the up-and-comer. What I lacked in experience I made up for in pure energy. But now...I don't know...am I singing a different tune? I've seen a lot of folks struggle with their age as it relates to a struggle for relevance in the world. Every year when we tour, and I visit with folks in homes who used to live in exotic places and had exotic experiences, now confined to this place or that, hoping that something interesting will come along for them. It's not all of them...just some of them. I've seen people struggling to figure out how they fit into the world now...because life has changed for them. Some of those folks think life has passed them by--like the world kept on turning but they couldn't turn with it anymore. So, at least in their mind, they have resigned themselves to a shrinking world. If I'm honest, there is a part of me is scared of becoming irrelevant. I joke about being run over by a beer truck on the streets of Decatur in part because I fear death less than I fear gradually fading into gentle, misty obscurity. A relic of a quirky past like a clunky bag phone or a rotary phone or a video game controller with...only one button on it. Maybe it's a certainty. Maybe we can't escape the gentle fade to black at the end of the movie that is our life. But I don't believe that. 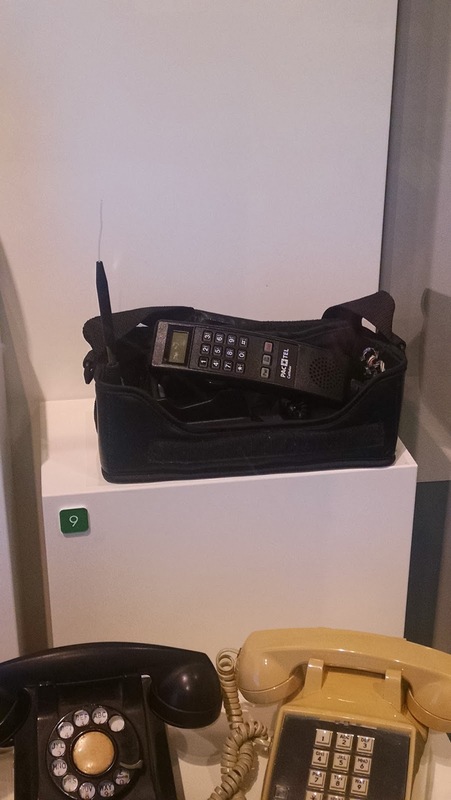 Unlike all those devices in the Tellus exhibit hall, we have the ability to adapt. We can change. We can become. We can define ourselves by new metrics--new relationships, new roles, and new possibilities for here-to-fore undreamed dreams. It won't happen on its own. The world won't stop moving. It won't stop becoming. If we do, it will pass us by at more than 1000 miles per hour (thanks, Tellus!). But we can become if we choose to, and constant commitment to adaptation may just be our fountain of youth. The Miracles of Technology: The...Creeper Cam?